It’s that time of year again… time to look ahead at the top 101 astronomical events for the coming year. And this year ’round, we finally took the plunge. After years of considering it, we took the next logical step in 2017 and expanded our yearly 101 Astronomical Events for the coming year into a full-fledged guide book, soon to be offered here for free download on Universe Today in the coming weeks. Hard to believe, we’ve been doing this look ahead in one form or another now since 2009. This “blog post that takes six months to write” will be expanded into a full-fledged book. But the core idea is the same: the year in astronomy, distilled down into the very 101 best events worldwide. 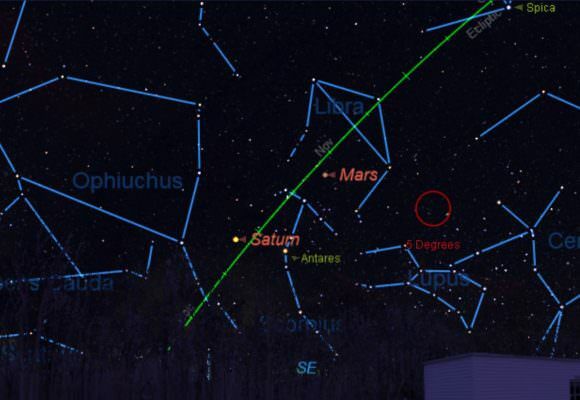 You will find the best occultations, bright comets, eclipses and much more. Each event will be interspersed with not only the ‘whens’ and ‘wheres,’ but fun facts, astronomical history, and heck, even a dash of astronomical poetry here and there. It was our goal to take this beyond the realm of a simple almanac or Top 10 listicle, to something unique and special. Think of it as a cross between two classics we loved as a kid, Burnham’s Celestial Handbook and Guy Ottewell’s Astronomical Calendar, done up in as guide to the coming year in chronological format. Both references still reside on our desk, even in this age of digitization. And we’ve incorporated reader feedback from over the years to make this forthcoming guide something special. Events will be laid out in chronological order, along with a quick-list for reference at the end. Each event is listed as a one- or two-page standalone entry, ready to be individually printed off as needed. We will also include 10 feature stories and true tales of astronomy. Some of these were culled from the Universe Today archives, while others are new astronomical tales written just for the guide. Don’t miss 2017’s only total solar eclipse, crossing the United States! Image credit: Michael Zeiler/The Great American Eclipse. -Solar cycle #24 begins to ebb in 2017. Are we heading towards yet another profound solar minimum? -Brilliant Venus reaches greatest elongation in January and rules the dusk sky. -45P/Honda-Mrkos-Pajdusakova passes 0.08 AU from Earth on February 11th, its closest passage for the remainder of the century. -An annular solar eclipse spanning Africa and South America occurs on February 26th. A sample occultation map from the book. Image credit: Occult 4.1.2. -A fine occultation of Aldebaran by the Moon on March 5th for North America… plus more occultations of the star worldwide during each lunation. -A total solar eclipse spanning the contiguous United States on August 21st. -A complex grouping of Mercury, Venus, Mars and the Moon in mid-September. -Saturn’s rings at their widest for the decade. Getting wider… the changing face of Saturn’s rings. Image credit and copyright: Andrew Symes (@FailedProtostar). -A fine occultation of Regulus for North America on October 15th, with occultations of the star by the Moon during every lunation for 2017. And that’s just for starters. Entries also cover greatest elongations for the inner planets and oppositions for the outer worlds, the very best asteroid occultations of bright stars, along with a brief look ahead at 2018. Get ready for another great year of skywatching! And as another teaser, here’s a link to a Google Calendar download of said events, complied by Chris Becke (@BeckePhysics). Thanks Chris!